We don't want anyone to miss out on being able to try our delicious brownies! Our gluten free range is homemade with almond flour and certainly passes all the taste tests! 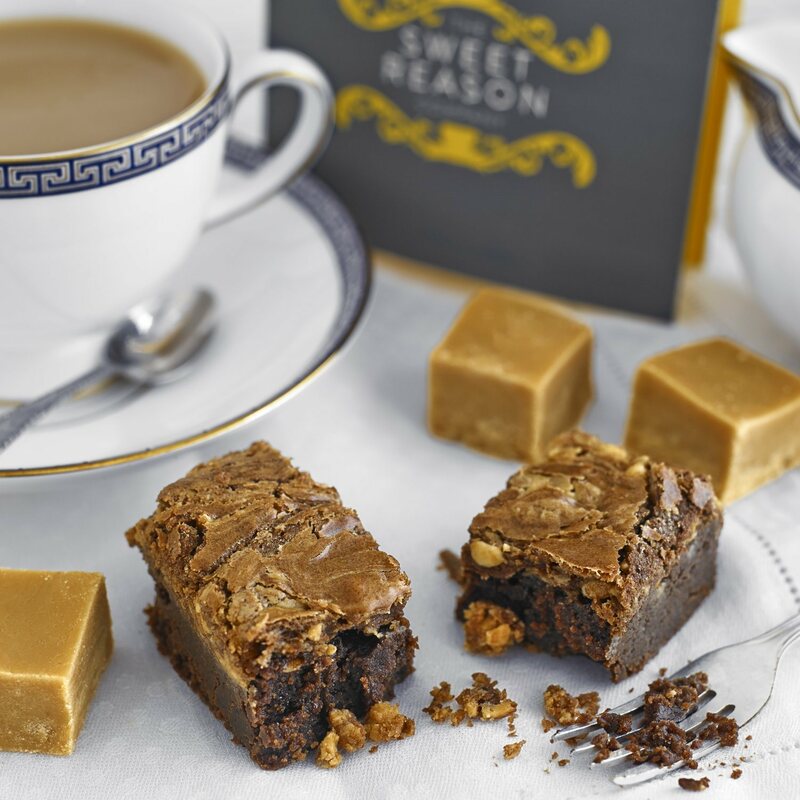 Our 'Indulgent Brownie Box' has 15-17 brownie bites (although much bigger than most peoples bites!). 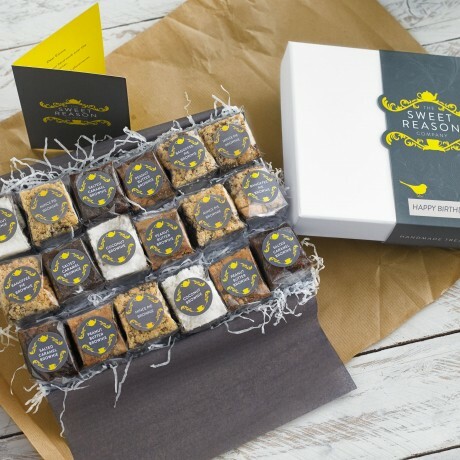 The brownie bites are presented in a luxury box. Everything is hand wrapped and packed and placed in the box so it will be perfectly presented when opened. There is a personalised greeting card inside. Allergy information: All products contain nuts, soy, eggs and milk. Please note, our baking is done in a kitchen alongside wheat products, therefore may contain traces of gluten. Shelf life: All bakes are freshly handmade and have a best before of approximately 14 days from receipt. Storage conditions: Store in a cool dry place. Keep out of direct sunlight. Best before dates are on the back of all products. SALTED CARAMEL GLUTEN FREE BROWNIE: dark chocolate ((cocoa mass, sugar, cocoa butter, emulsifier, soy lecithin, flavouring (natural vanilla)) caster sugar, eggs, salted caramel (butter, brown sugar, caster sugar, double cream, golden syrup, sea salt) ground almonds, butter, cocoa powder, vanilla. DOUBLE CHOCOLATE GLUTEN FREE BROWNIE: Dark chocolate ((cocoa mass, sugar, cocoa butter, emulsifier, soy lecithin, flavouring (natural vanilla)) caster sugar, eggs, ground almonds, butter, cocoa powder, vanilla. 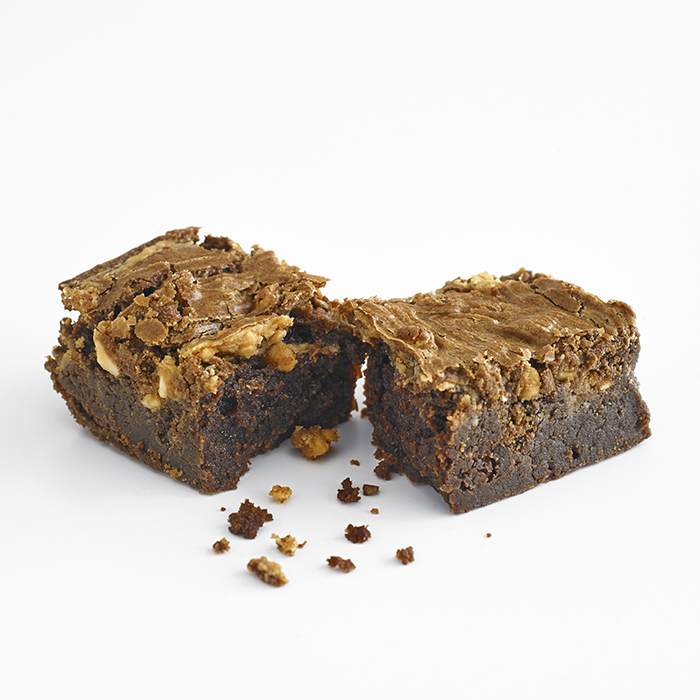 PEANUT BUTTER GLUTEN FREE BROWNIE: Dark chocolate ((cocoa mass, sugar, cocoa butter, emulsifier, soy lecithin, flavouring (natural vanilla)) caster sugar, eggs, ground almonds, butter, peanut butter (roasted peanuts (95%), brown cane sugar, palm oil, sea salt),cocoa powder, vanilla. HONEYCOMB GLUTEN FREE BROWNIE: Caster Sugar, dark chocolate (cocoa mass, sugar, cocoa butter, emulsifier, soy lecithin, flavouring (natural vanilla), butter, Crunchie bar (sugar, milk solids, wheat glucose syrup, cocoa butter, cocoa mass, mineral salts (500, 509), emulsifiers (soya lecithin, 476), flavours, traces nuts, milk chocolate contains cocoa solids 26%, milk solids 28%, eggs, ground almonds. 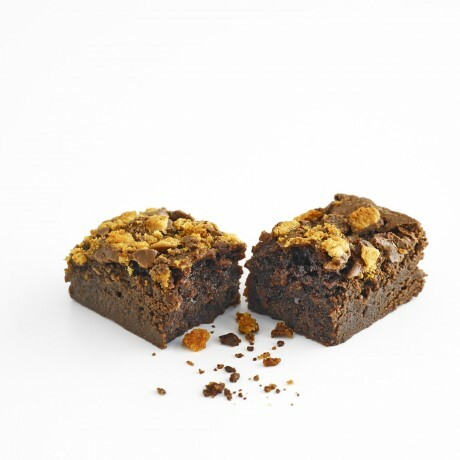 Nutella Brownie (Gluten Free):Dark chocolate, butter, ground almonds, sugar, cocoa powder, eggs, chopped hazelnuts, Nutella (Sugar, Palm Oil, Hazelnuts (13%), Fat- Reduced Cocoa (7.4%), Skimmed Milk Powder (6.6%), Whey Powder (Milk), Emulsifier: Lecithin (Soya), Vanillin). 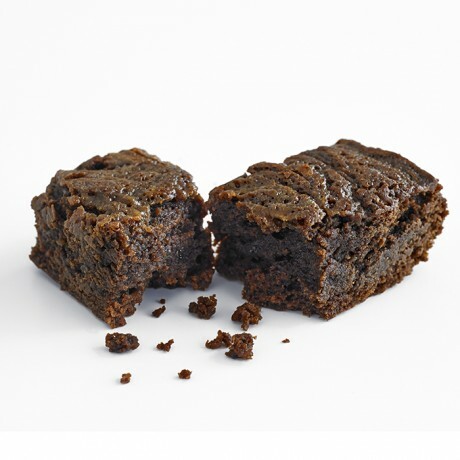 Baileys Brownie (Gluten Free): Dark chocolate ((cocoa mass, sugar, cocoa butter, emulsifier, soy lecithin, flavouring (natural vanilla)) caster sugar, eggs, baileys, ground almonds, butter, cocoa powder, vanilla. Contains eggs, nuts, soy and milk. Made in a kitchen that also uses gluten, so may contain traces of gluten. My nephew was incredibly happy with the brownies. Handmade fresh bakes for any occasion.